Taipei, Taiwan, 2012: Inherited ultimate cooling performance, EVERCOOL introduces Venti (HPQ 12025), The gods of the winds in Roman mythology, Aeolus from naming people can feel Venti, like a hurricane provides exclusive cooling effect. 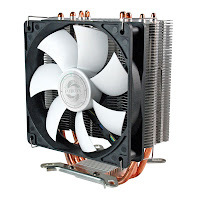 EVERCOOL recently launch a masterpiece – Silent Shark CPU cooler (HPO 12025) in the fall of 2012, which achieves a perfect balance of performance and quietness, the next month, Evercool launches another high performance CPU cooler- The Venti (HPQ 12025). The Venti (HPQ 12025) managed to design a great cooling solution: efficient and quiet, and efficient when necessary. The Venti (HPQ 12025) will be a good choice for quiet system lovers as well as for benchers with limited budget.